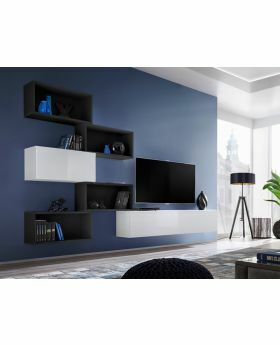 Boise III - living room entertainment center. 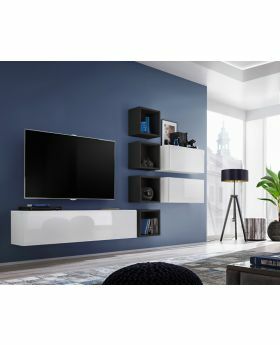 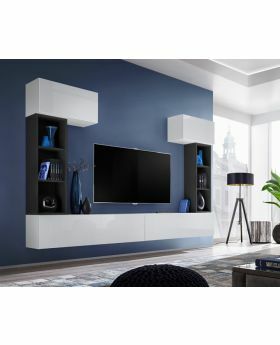 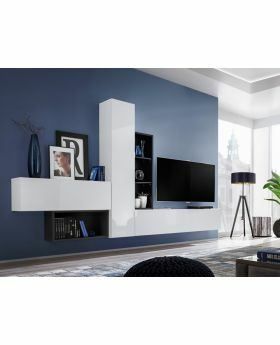 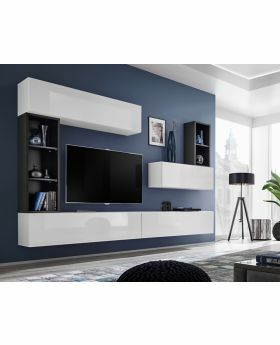 Width - 280 cm - 110.3"
Height - 175 cm - 68.9"
Width - 35 cm - 13.8"
Depth - 25 cm - 12.6"
Boise is a floating tv media console that combines both modern design and contemporary minimalist design with straight lines and high-gloss fronts. 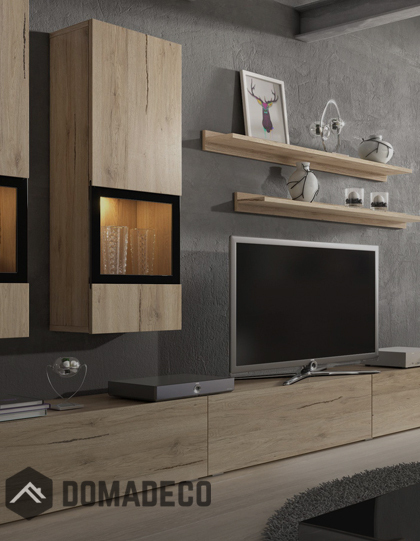 The wall cabinets which gives this entertainment center its one-of-a-kind look.